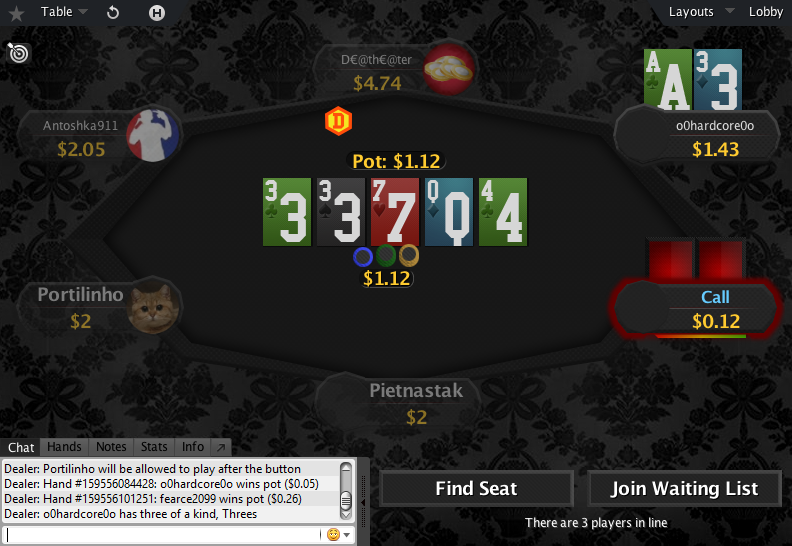 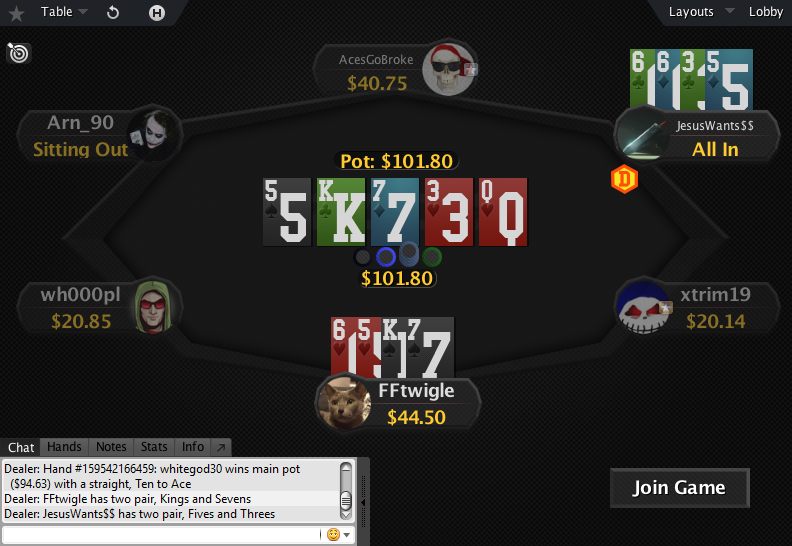 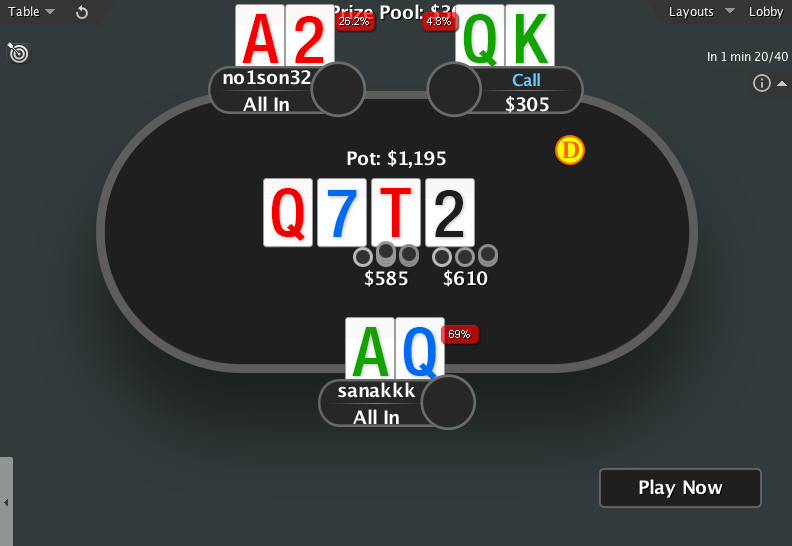 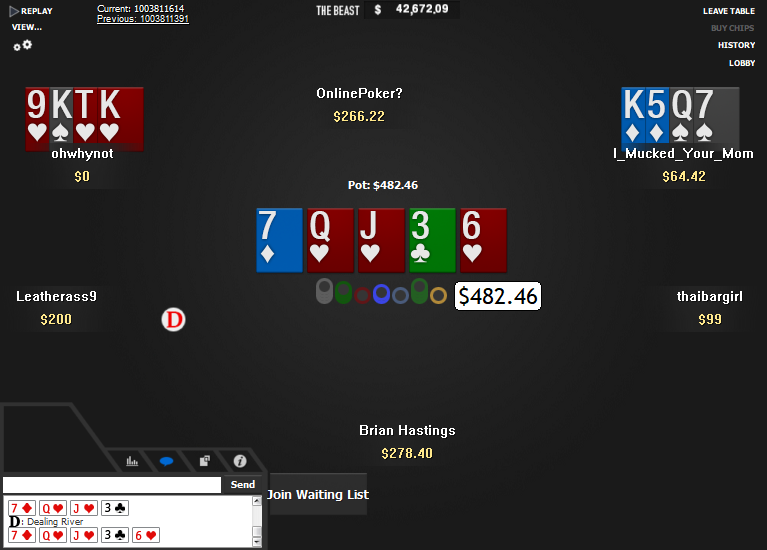 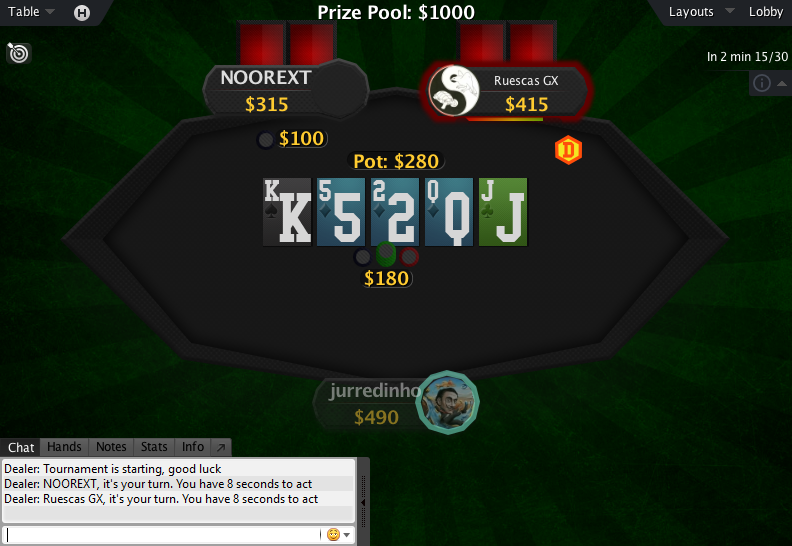 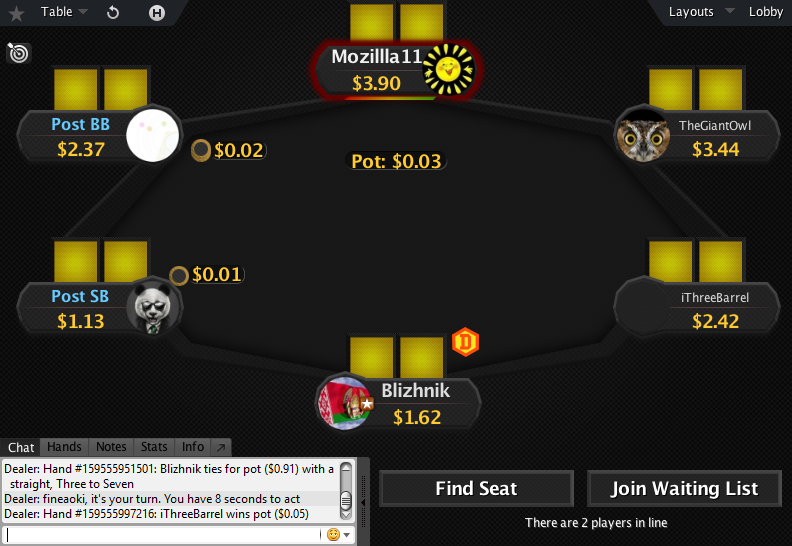 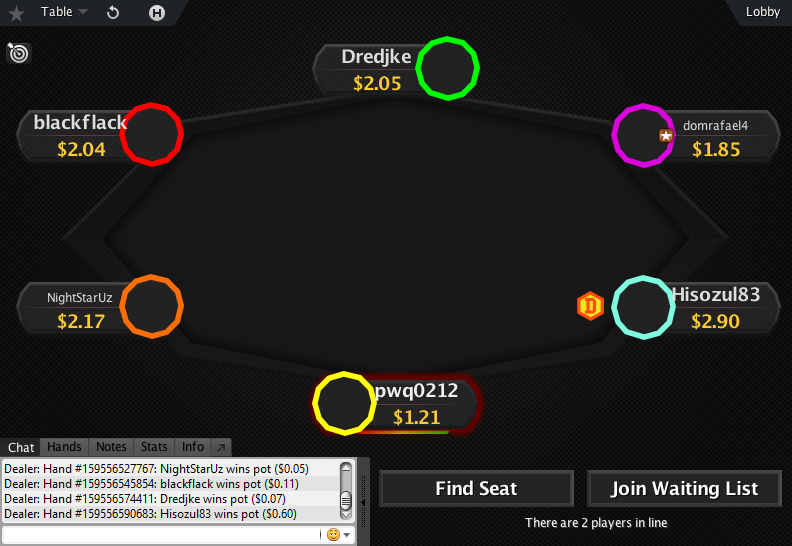 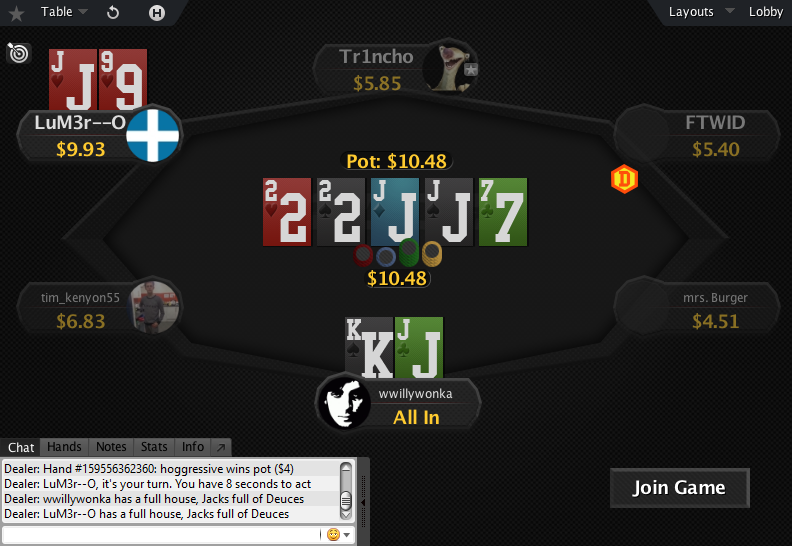 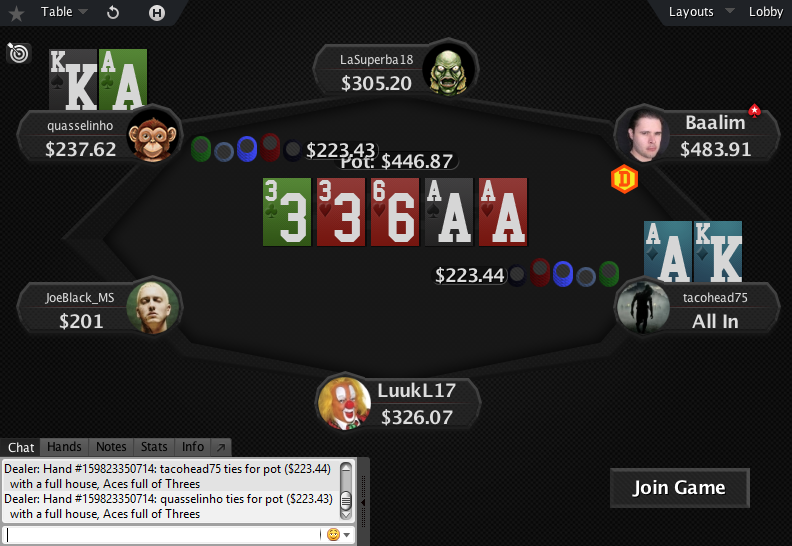 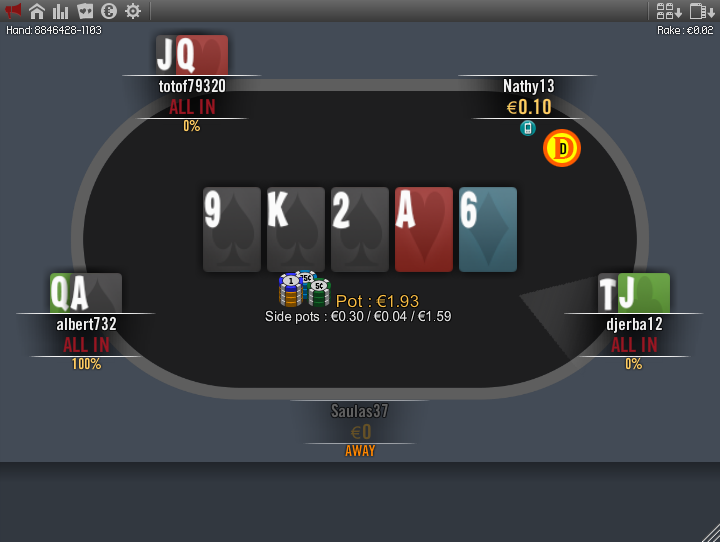 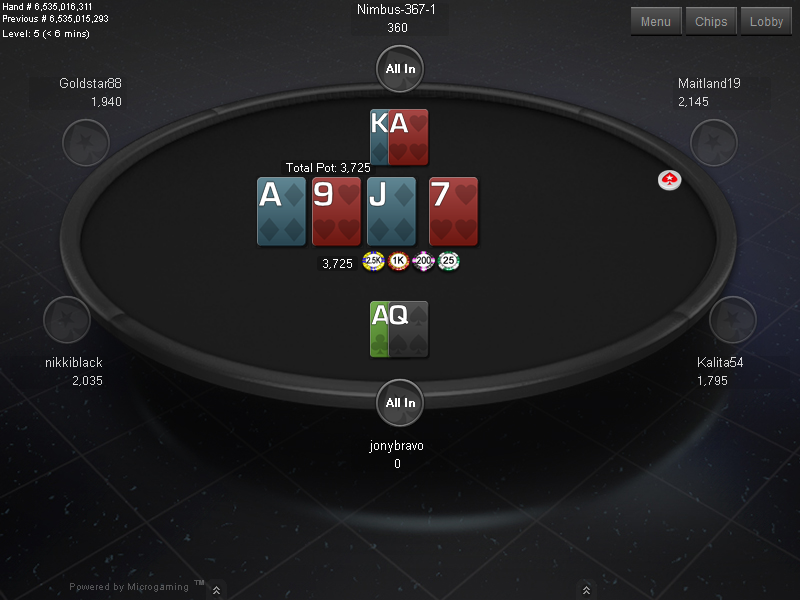 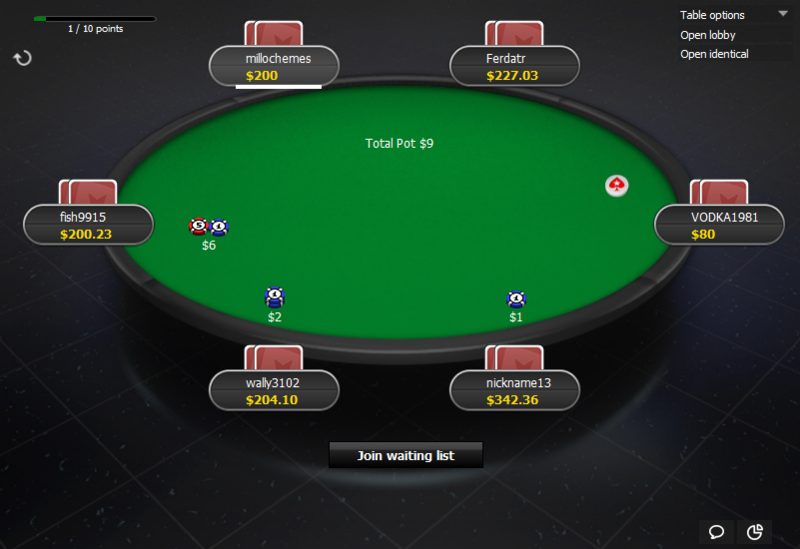 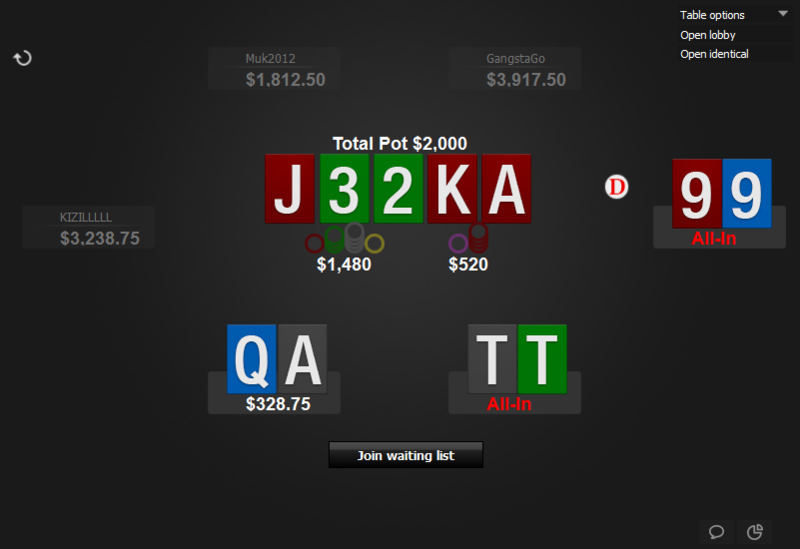 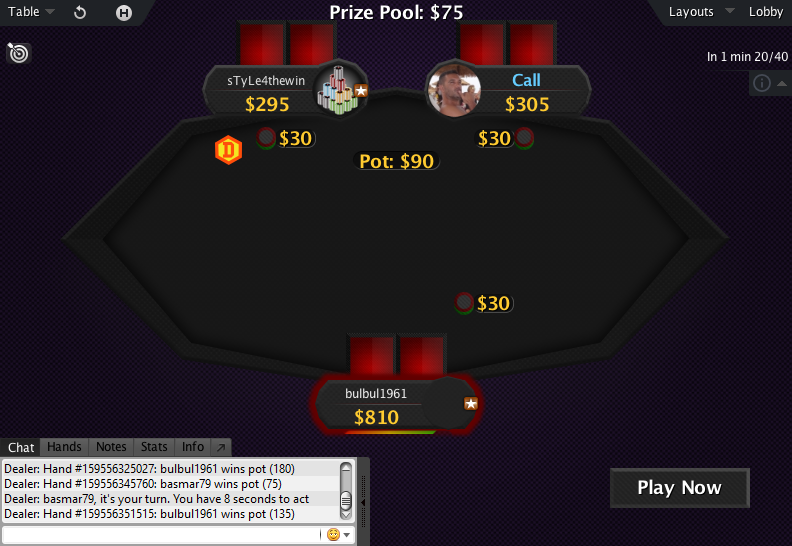 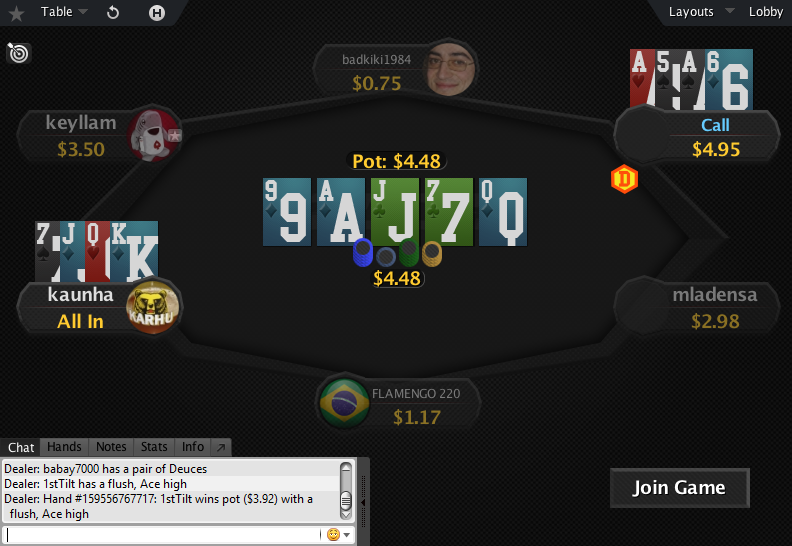 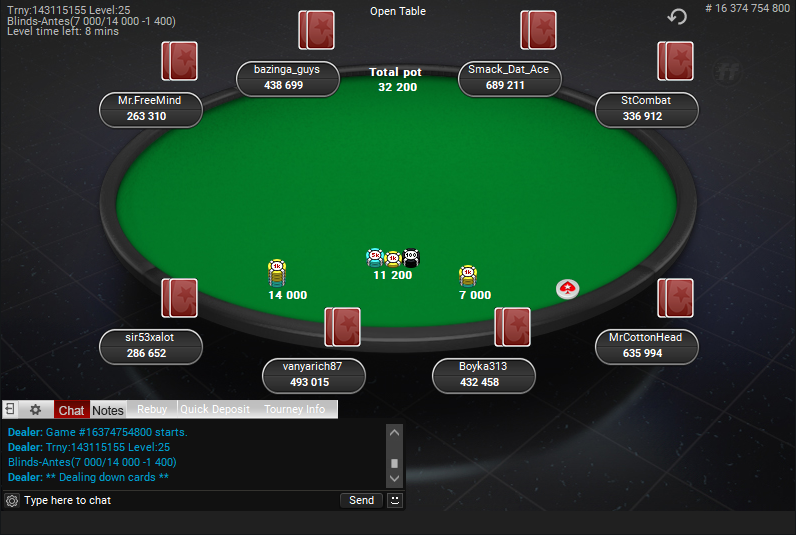 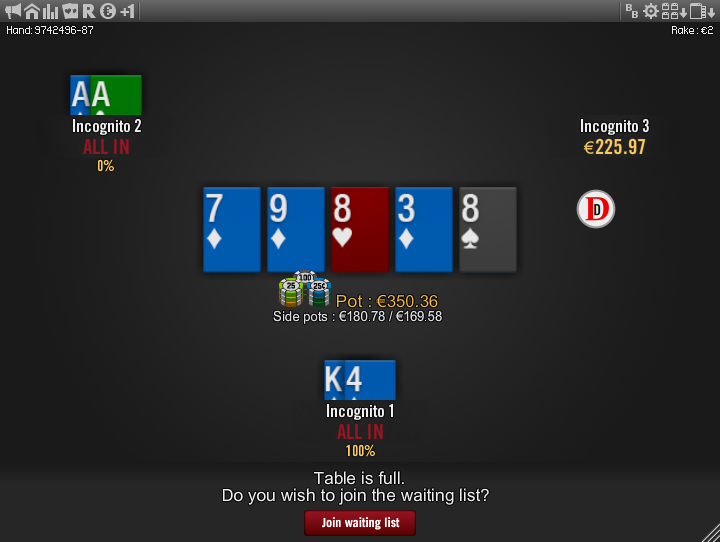 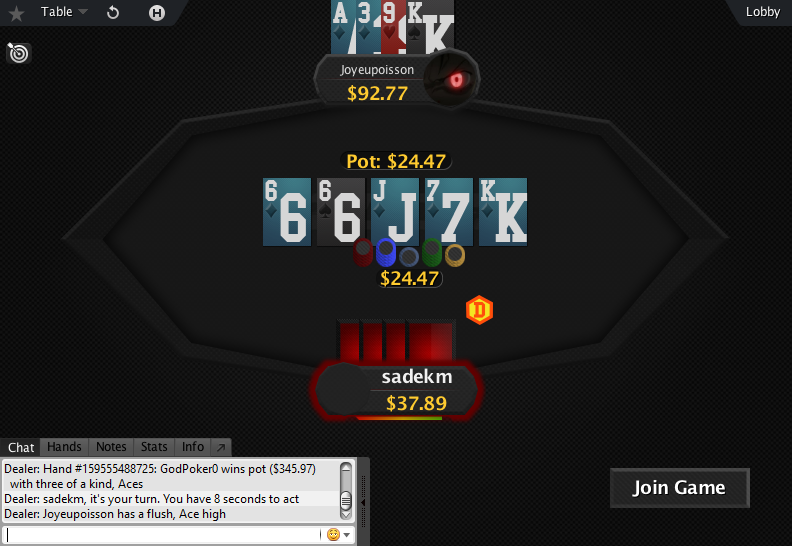 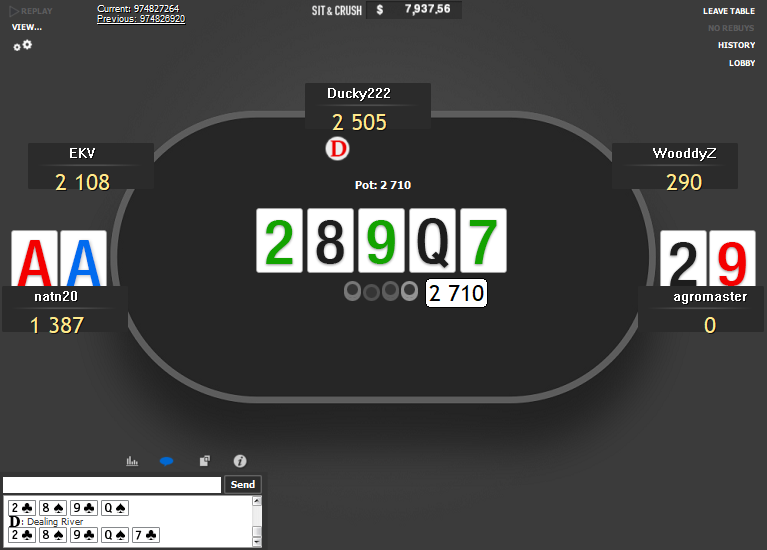 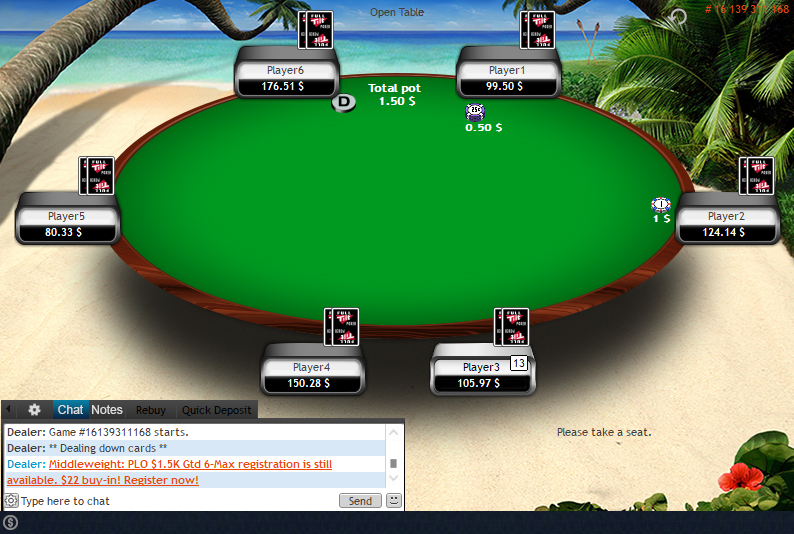 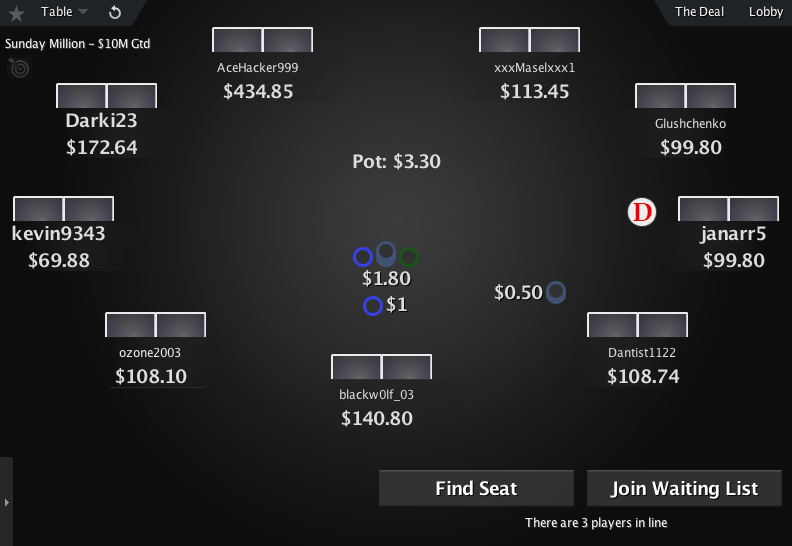 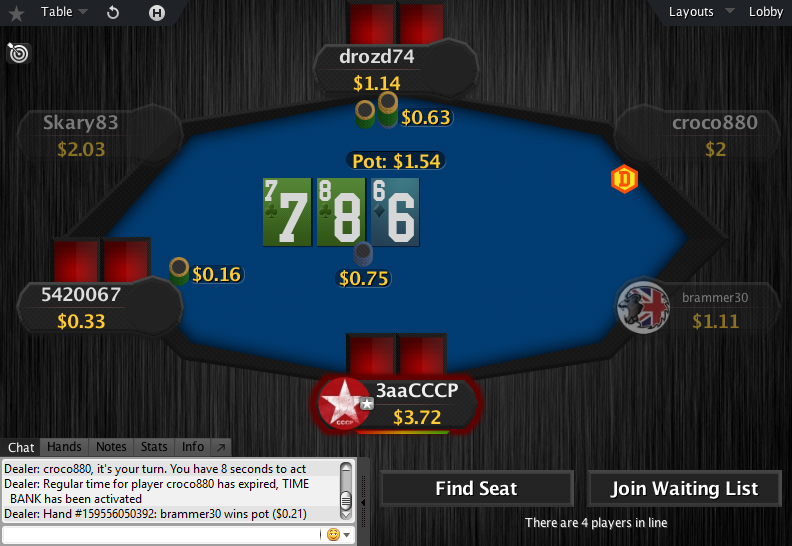 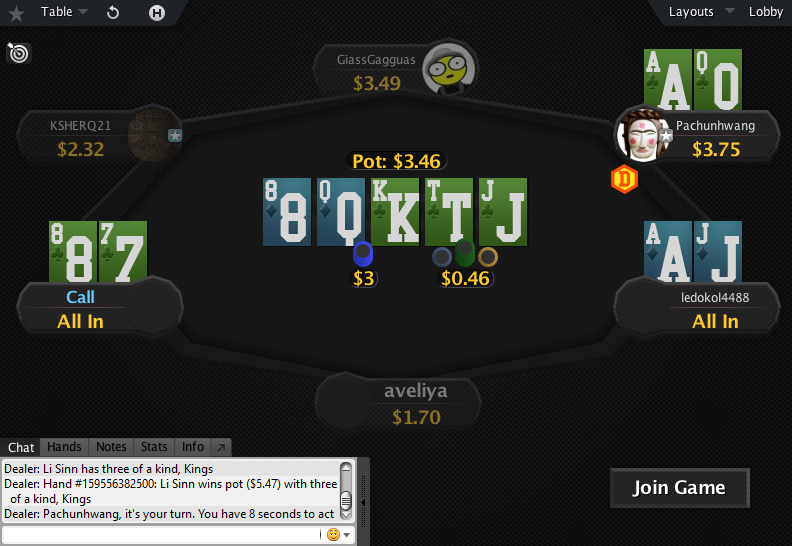 This is a nice dark theme for PokerStars. 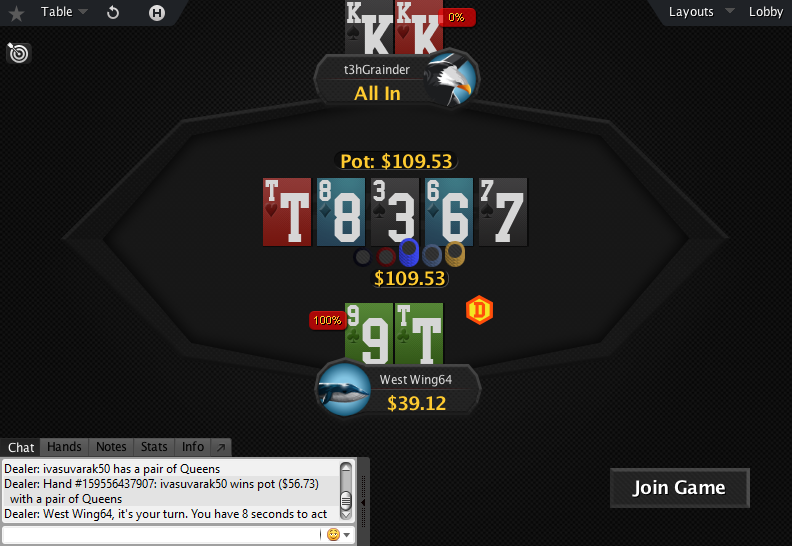 Darker themes are known to be better for longer sessions, late night grinding and are in general more pleasing to the eye. 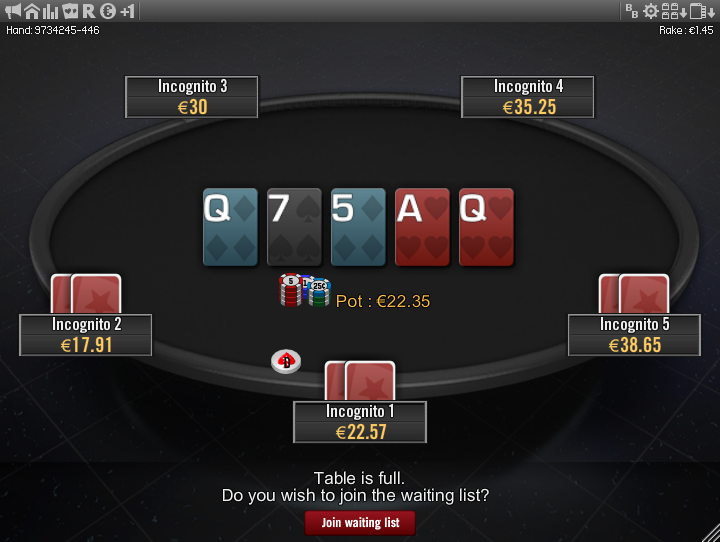 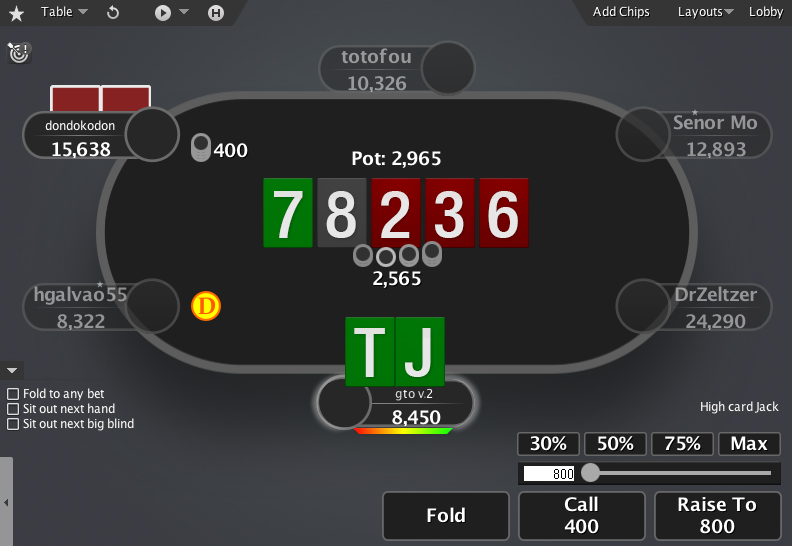 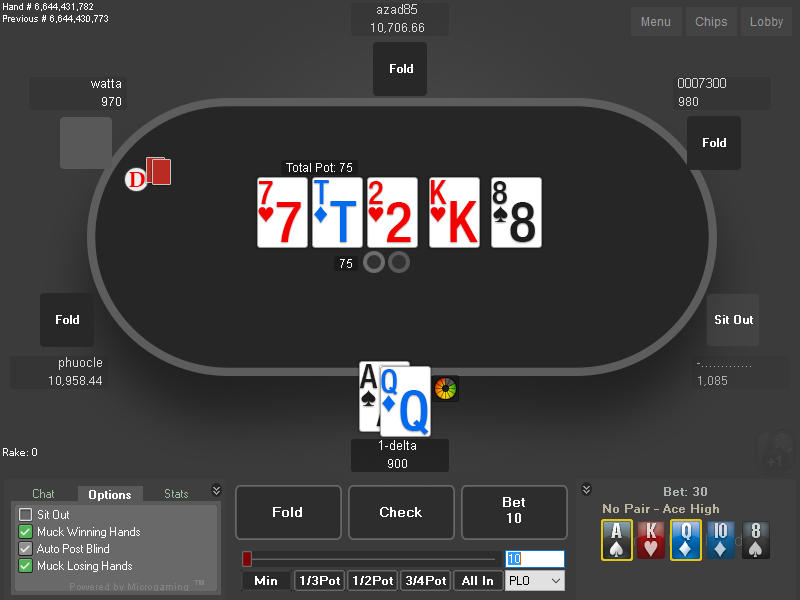 In this theme you can choose between several backgrounds and you can set your felt colour to whatever you like via the custom color option in PokerStars software. 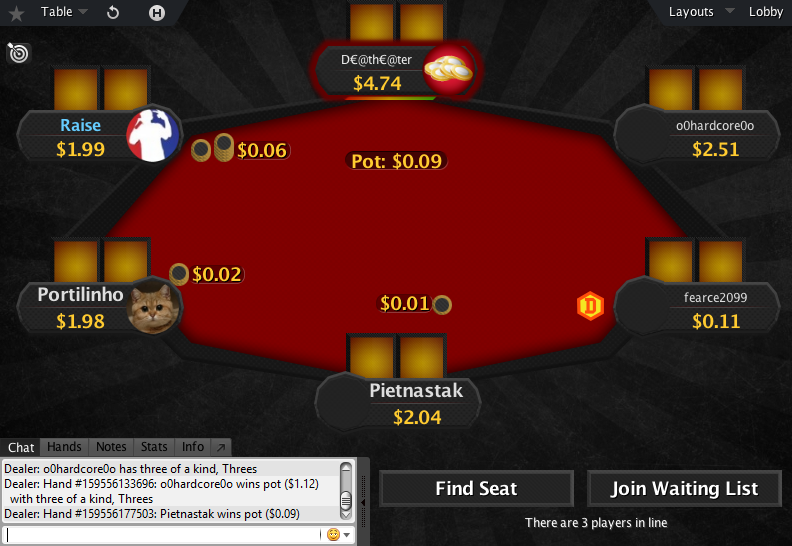 This theme also has new cards and 6 new cardbacks. 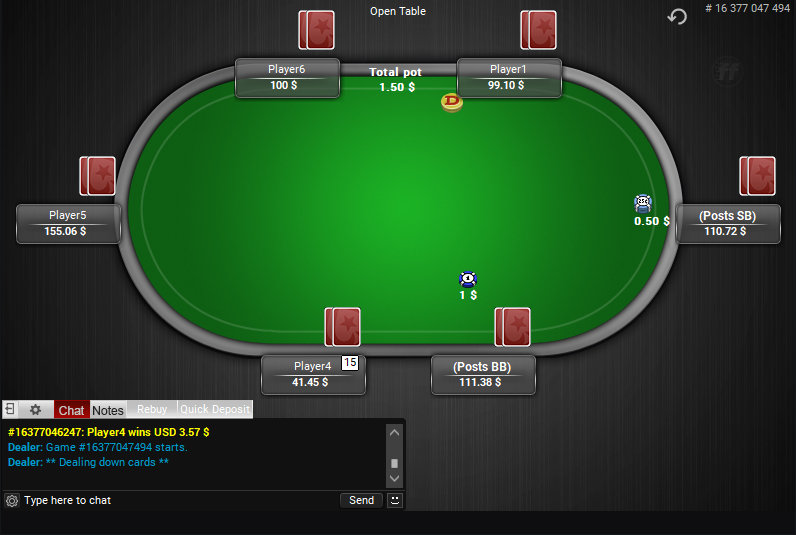 The table shape is a bit unconventional, as is the dealer button, which gives it a more exclusive look than other table themes. 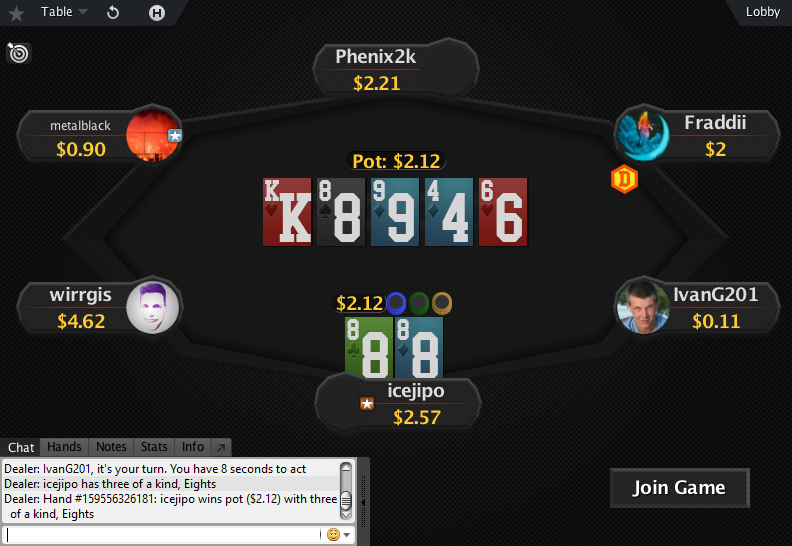 And last, but not least, it has bigger fonts, so it’s easier to read the action.